In the Old Castle that overlooked the bluff facing Lake Erie and Niagara River, on June 6, 1842, was born to James and Emily Steele MacKaye, a son named James Steele MacKaye. Known later by his stage name, Steele MacKaye, he is likely the greatest unknown theater inventor, playwright, designer, teacher, innovator and impresario ever. By many authorities of the stage was called the "Father of Modern Acting." Between 1872-1894 he wrote thirty plays and acted in seventeen different roles. In 1873 he became the first American to play Hamlet in London. 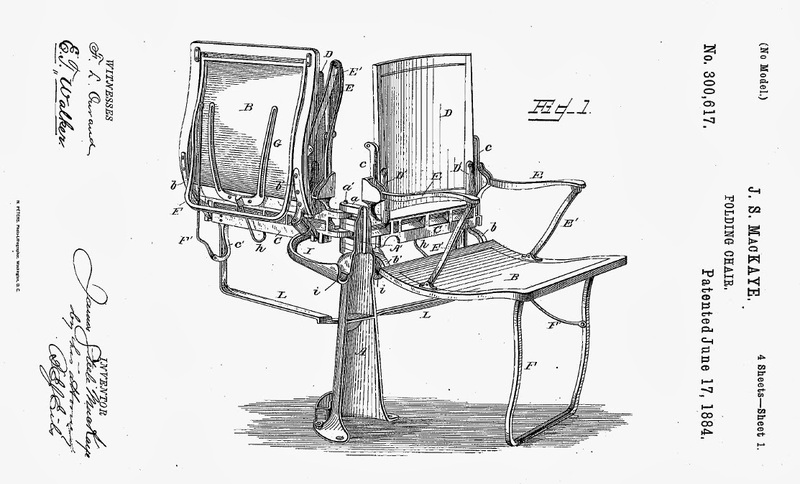 He also patented over 100 theatrical inventions between 1879-1893, including the folding theatre chair. His crowning piece would have been his "Spectatorium." 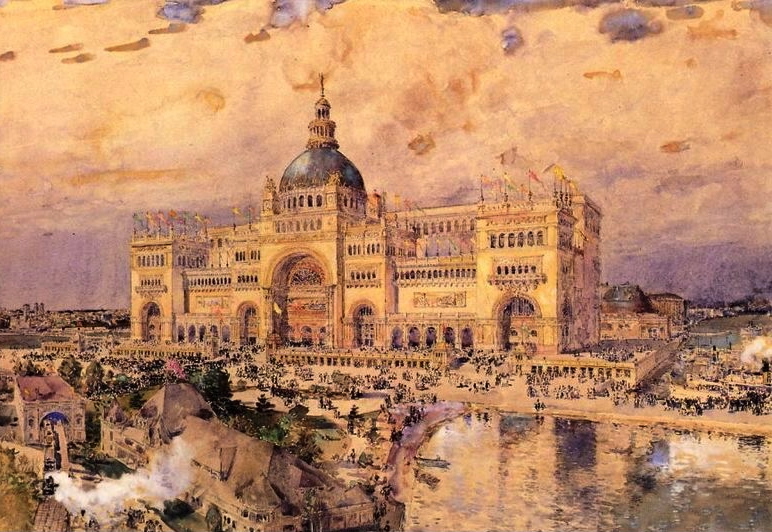 Planned to include twenty-five moving stages and seat 12,000 people, it was to be staged at the 1893 World's Fair in Chicago. His father Col. James MacKaye, a lawyer and business organizer, of considerable wealth, was an ardent worker for Antislavery, a personal friend of Garrison, Emerson, Clay and Lincoln, came to Buffalo in the early 1830's, married Emily the sister of Oliver G. Steele, known later as the builder of the Buffalo public school system, and built the castle in the style of the MacKaye castle in Scotland. 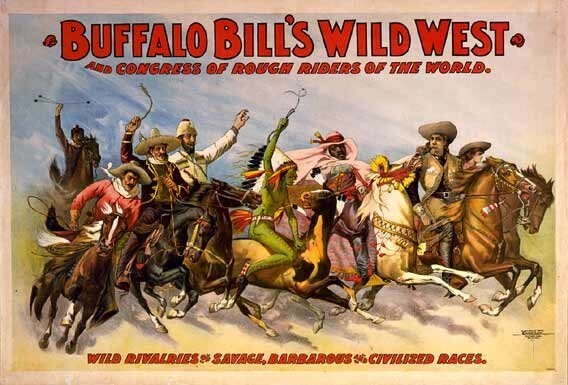 The Colonel was a leader in many of the Buffalo activities of that period. At the Castle he conducted a military school, and later formed and was Col. of the Continental Guards. He organized several express companies, including Wells Fargo. Upon the acceptance of the telegraph he was instrumental in founding The American Telegraph Company and was it's president during Lincoln's administration. 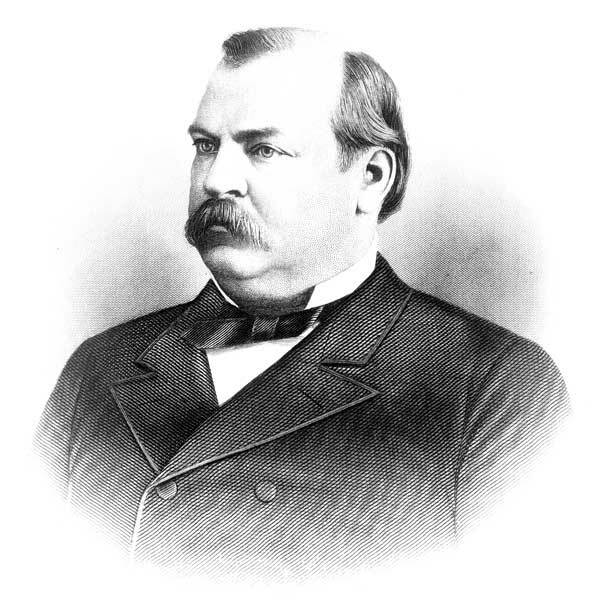 He was noted as one of the wealthiest citizens of Buffalo. He later became close with President Lincoln and heavily involved in the Emancipation Proclamation. 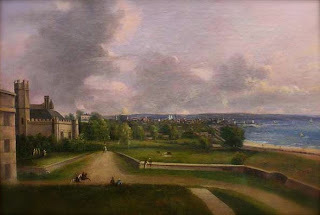 The Castle was later purchased by the government and became Fort Porter, which stood where the Peace Bridge Plaza is now located. The story here though centers around his son, Jimmy MacKaye, as he was called in his boyhood youth. 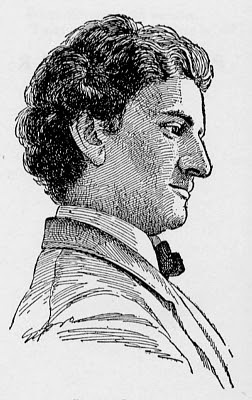 Among Steele’s childhood friends was his cousin Winslow Homer, later considered by many to be the greatest American painter ever. Jimmy did not spend much time in his native city. At the age of fourteen, Steele MacKaye ran away from Roe's Military Academy, studied art under William Hunt at Newport(1858-59), at Paris in the Ecole des Beau Arts, and later under Ge'rome, Troyon, Couture and Rousseau. In 1862 he returned home and enlisted in New York's Seventh Regiment in the Civil War. He served 18 months, chiefly in the 7th Regiment and in Col. Burney's regiment, being a Major in the latter. Retiring because of Rheumatic fever. In 1869 Steele was persuaded by his father to join him in Paris. Here he became the disciple of François Delsarte, a great teacher in what was called applied aesthetic art, a naturalistic style of theatre integrating speech, movement and gesture. Delsarte studied and recorded aspects of human gesture in everyday life, recording thousands of gestures, each identified with specific descriptions of their time, motion, space and meaning. 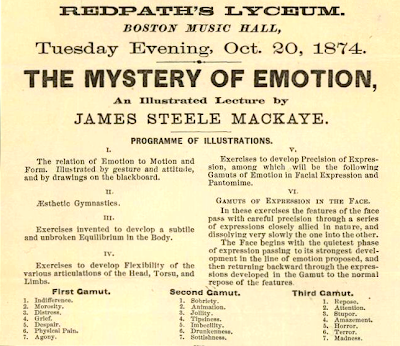 The Delsarte method sought to develop control, grace, and poise in order to enhance physical expression of emotions in connection with speech and thought. MacKaye spent many months studying with the great master and then came back to this country fired with the spirit of a crusader to spread the ideals and philosophy of this great Frenchman. This young man of only 29 years, by his enthusiasm and charming personality so convinced many of the great educators and actors of the day that he had a message, that he was requested in earnest, and urged to lecture on the subject. His first lecture in Boston was such a smashing success that he became famous overnight. He did several more in Boston then went back to New York to continue to lecture. MacKaye's Boston fame preceded his arrival, he became instantly celebrated and was hailed by men of the arts, literature, science, education and drama as well as lauded by all of the critics. 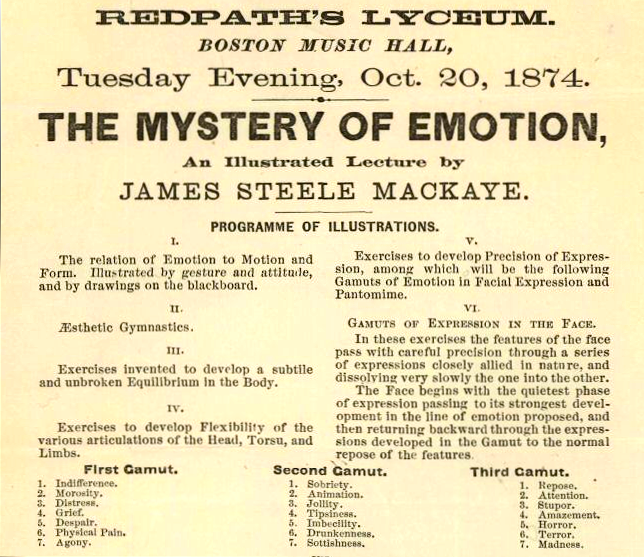 He founded a ‘school of expression’ in New York where he promoted the Delsartean method with his lectures. One cause of it being received so enthusiastically was no doubt the almost universal dissatisfaction with the mechanical method of acting. Teachers were eager for anything that might give promise of a philosophical basis for a better method. Then for the next 20 years Steele MacKaye brought to the stage many artistic and lasting achievements. Early dedicated to art and the culture of idealism, when he entered suddenly, in 1871, the world of theatre, he found it Bohemian, crude, commercial, un-organized-- and except for the art of acting, then brilliantly exemplified by such men as Booth, Wallack, Gilbert, Boucicault--strangely unrelated to the large traditions of art or to civic life. He returned to Europe to hone his skills as an actor at the Conservatory in Paris. Now better skilled and thoroughly educated, he went to London where he became the first American to play Hamlet. People waited outside 3 hours for admission, MacKaye had 5 rousing calls before curtain, with bravos, cheers and waving hats and handkerchiefs. The London Spectator said, "Mr. MacKaye's Hamlet is by far the best Hamlet of our own time." Mr. MacKaye has real genius." He also played in France (in perfect French). 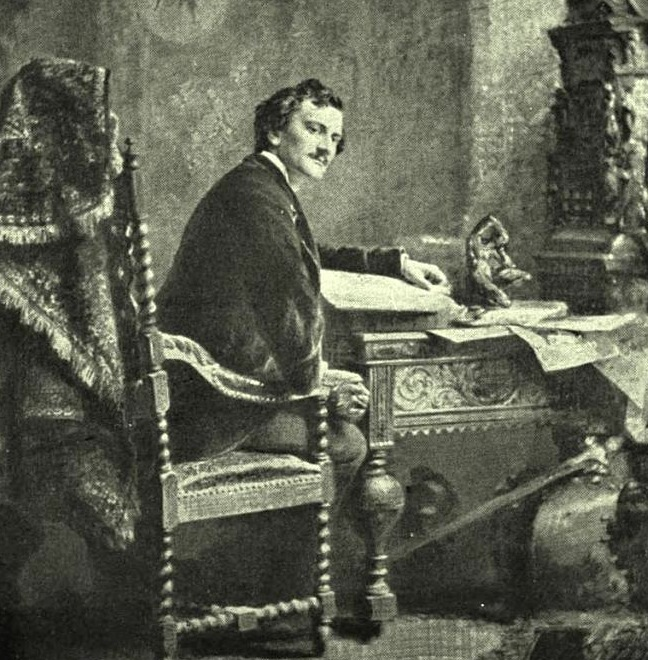 It was natural that his genius should turn to play writing, acting in, directing and managing a series of plays now that he was back in New York in 1875. Many successes were staged during the early period. 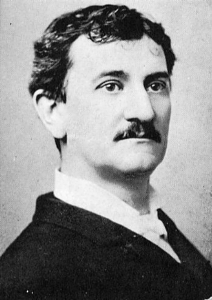 As a playwright, he wrote or adapted thirty plays, including three hits: Won at Last (1877), Hazel Kirke (1880), and Paul Kauvar (1887). Hazel Kirke was hailed as the epitome of the new realism, the first native melodrama without a villain; that is, it's chain of tragic circumstances were woven of normal human motives, though it was the staging and the technical aspects of the production that were truly revolutionary. The play itself is a romantic melodrama which is set in a mill and which dealt with middle class characters. Steele Mackaye wrote Hazel Kirke expressly for the new Madison Square Theatre. In both writing and performance the play was an attempt to move to the principles he was espousing. It became an astonishing success running 486 performances, a record against which future productions were measured for the next fifty years. Within five years the play had been staged in New York at various theaters over thirty-five hundred times, and on many days it was shown three times to clamoring audiences. Utilizing Steele Mackaye's revolutionary concept of multiple companies, it inspired 14, along with dozens of pirated versions. During this time he wrote and acted in many plays, but the one that interested Buffalo friends was given it's premier at the Academy of Music, under management of the Meech Brothers May 30th 1877. The play was called Anarchy for the Buffalo premiere. However, after it's production, "the Chicago Anarchists were hanged, and to avoid a possible charge of trading on the event, I went back to my first title, Paul Kauvar." A spectacle of the French Revolution, the mob scene that he planned and directed was the most thrilling ever given on the Academy stage. Steele MacKaye played the leading part of Paul Kavar, Genevieve Lytton was the leading lady and the beloved May Irwin was in the cast. Others were Frederic de Belleville and Sydney Drew, brother of John Drew and uncle of the Barrymores of today(1942). 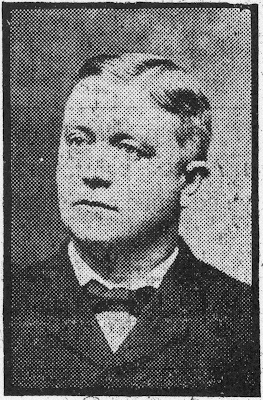 MacKaye, with his usual enthusiasm and friendships, had rounded up some very famous men and a special train brought to Buffalo a large number of friends to witness the premier of the play. Among them were Lawrence Jerome, grand uncle of the Hon. Winston Churchill, Moses Handy, and the well known wit and story teller, Tom Ochiltree of Texas. 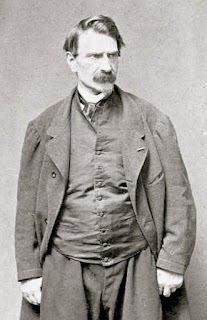 The success of the play on its first night was a double triumph, for twelve hundred leading citizens had signed an invitation to have it given in Mackaye's native city, and the evening was a kind of public testimony to his position. This was one of the rare instances of an American dramatist receiving such recognition. 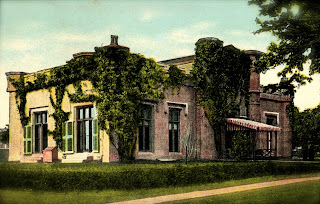 After the close of this performance, a grand banquet was held at the old Genesee Hotel. Buffalo Courier - "It was not as a playwright alone that his friends honor Mr. Mackaye. It may be said of him with strict justice that he is one of the few men of our day who have brought to the much-abused theatre the intelligence, the skill, the learning and the genius that it so much needs in an era of speculators and buffoons. 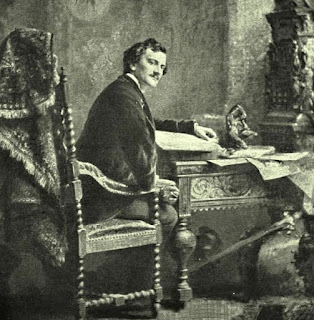 He has always been able and willing to take the pen or the rostrum, whether at Harvard or at Steinway Hall, to expound the principles upon which he has so assiduously worked for the past fifteen years." 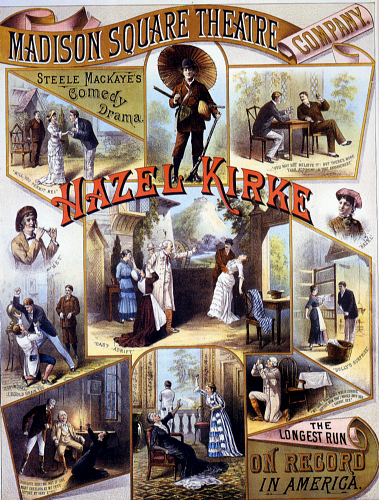 Later the play ran for several years in New York and on the road. Mackaye's greatest lasting contributions to the modern theatre are as designer/inventor with over 100 inventions to his credit. His first major technical triumph was with Madison Square Theatre, which he remodeled with the most modern, elaborate equipment ever seen in an American playhouse. 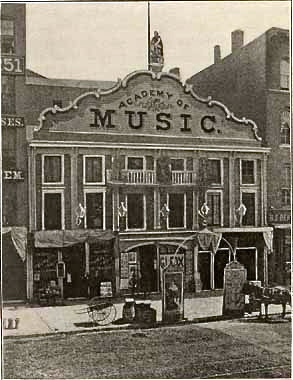 The Theater opened February 4th, 1880 with Hazel Kirke. It had a seating capacity of five hundred and was known as the coziest and prettiest house in New York. Its greatest innovation was a double stage. As one act was going on, the lower stage was set for the next act, and during intermission was raised to its proper place by four men, two on each side, working pulley cables by hand. 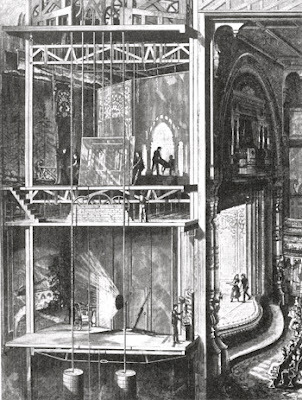 The famous elevator stage which measured 31' X 22' X 114', included an elaborate counterweight system. The main purpose of this elaborate and expensive double stage was to save time between the acts (it has never been duplicated in any other theater). The intermissions were cut to fifty-five seconds and were so advertised. The Madison Square Theater was thus enabled to open at eight-thirty -- the other theaters opened at eight o'clock. People didn't want to leave their seats between acts in those days, -- ladies smoked no cigarettes, and gentlemen did not smoke cigars when they went to the theater. Another feature was the elevated orchestra pit, which was built into the proscenium arch above the stage. This allowed more room on the lower floor. He eliminated footlights with a lighting system devised by Edison with overhead and indirect lighting. 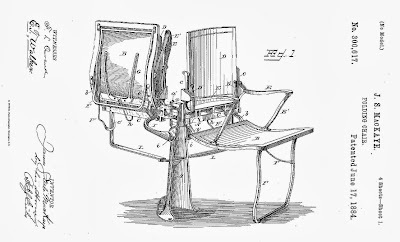 The Madison Square Theatre was the first to utilize what is perhaps Mackaye's most lasting invention, the folding theatre seat (Patent 295,261 in March 1884) The folding seat wasn't for convenience or comfort, it was actually invented as part of a total fire safety program he designed into his theatres. (see post script) Arranged in groups of three and four, in case of fire the seats would fold up as the patron rose and rotate to form an aisle and allow a quick exit to the rear. The theater was kept open all summer with a primitive but effective air conditioning system, advertised as "Cooled By Iced Air." Cakes of ice were delivered each day and placed in a cooler. A blower blew air over the ice, out under the floor of the auditorium, pipes rose through the floor beneath every seat in the body of the house, and the air was entirely changed every ten minutes. This was a great innovation and created quite a stir. The interior of the house and the "drop curtain" were made by Tiffany. This was apparently an elaborate embroidered tangle of trees and flowers. It was lost in a fire during the run of Hazel Kirke when a careless workman's torch caught it on fire. The smoke was cleared by the fairly sophisticated circulation system and the show went on with only a half-hour delay. The public's fascination with 55 second scene changes of totally realistic three dimensional scenery was sufficient to make the theatre a success. 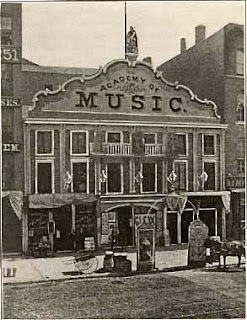 Ultimately, a disastrous deal made with the theatre's owners, the Mallory Brothers, caused Mackaye to lose the theater. 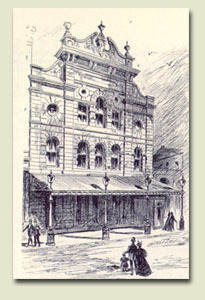 In 1884 he bought the Lyceum Theatre, opening in 1885. He worked again with Louis Comfort Tiffany to complete the interior design. 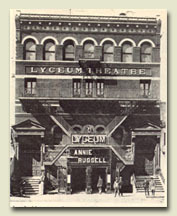 Technically innovative, the Lyceum, incorporated new stage machinery, firefighting equipment, and an orchestra pit on an elevator. With the aid of his friend, Thomas Edison himself, made it the first totally electric lighted theater in America. It also had quarters for a school of acting which he founded, the first in America. It eventually became the American Academy of Dramatic Arts and later becoming today’s Columbia University School of Theater. But in time he lost this theatre too, but continued to write plays. 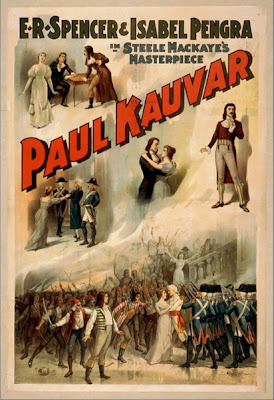 His last durable works was Paul Kauvar; or Anarchy which premiered in Buffalo NY May 30th of 1887. The task of organizing, designing and superintending the building of the Madison Square Theatre and the Lyceum Theatre, New York, was the labor, almost alone, of MacKaye. To both tasks he brought his inventive faculty, idealism, and spirit of innovation, manifest in his double stage, elevated orchestra, folding theatre chairs, oxygenating and cooling plants, the first "professional matinee," souvenir programs, an "honest" mechanical doorkeeper, an automatic prompter, flame proof curtains, etc. Always anxious, MacKaye was looking for another challenge when he met Nate Salsbury the business partner of William F. Cody – “Buffalo Bill.” The Wild West show was a sketchy hodgepodge reenactment of various Indian battles including Custer’s Last Stand, valiant soldiers and cowboys, frightened settlers and miners. Looking for a success but not wanting to succumb to a circus like atmosphere Cody and Salsbury hired MacKaye to stage the performance with the best theatrical coordination. MacKaye chose the only venue large enough to house the show, Madison Square Garden then located on Twenty-Sixth Street. 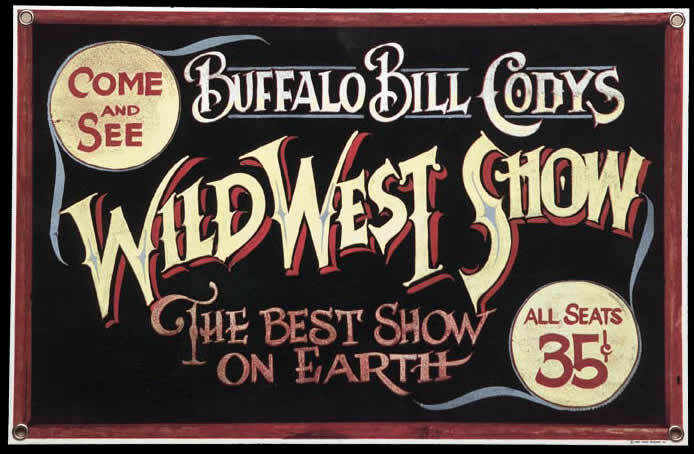 MacKaye reorganized the Wild West show for the indoor season during the winter 1886/1887. MacKaye created a show titled "The Drama of Civilization.” He invented elaborate special effects to transform the indoor arena into the windswept plains of the West, complete with a tornado. 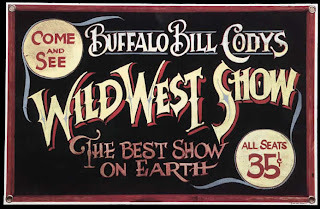 As quoted from the New York Times the show was a hit: “Buffalo Bill’s new ‘Wild West’ is fairly under way in Madison-Square Garden. The performance runs along rapidly and smoothly. All the ponderous machinery used in the working of Matt Morgan’s grand scenery is in perfect trim and works to a charm. The patent “hurricane raiser” – a huge and complicated apparatus that serves to send a gale of wind across the space devoted to the stage with a velocity of 60 miles an hour, and with a roar as if 100 buildings had simultaneously crashed to the ground – is a feature introduced in the cyclone on the prairie that creates a sensation nightly.” Yes, MacKaye even invented a machine to create a tornado in the arena! The hit show ensured, MacKaye went off to stage his version of Wagner’s opera Rienzi at the Washington Opera House. 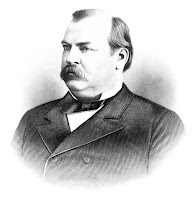 In attendance, among other dignitaries, was President Grover Cleveland, who like MacKaye, hailed from Buffalo. While MacKaye was an ardent Republican owing to his ties to the party of Abraham Lincoln, and Grover was a Democrat, a rarity at the time, the two got along famously and formed a lasting relationship. 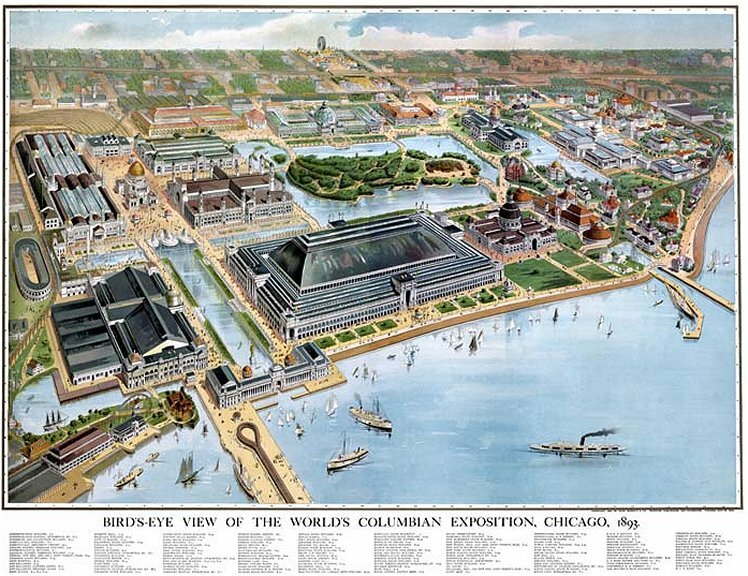 The Spectatorium In 1892-3, backed by capitalists among whom were George M. Pullman, Lyman J. Gage, Benjamin Butterworth, Murray Nelson, and others, to the amount of nearly a million dollars, enthusiastically approved by the artists Charles F. McKim, Daniel J. Burnham, Frederick Law Olmsted, of the World's Fair Art Commission, there was launched what the press described as a "Great Show for the Fair," intended to recount—through spectacle, pantomime and music—the life-story of Columbus, the ''World Finder." Its inventor, architect and organizer was Steele MacKaye. Associated with the production as musical composers were Dvorak and Victor Herbert, as orchestral director—Anton Seidl. "After many years of anxious endeavor, I finally developed and combined a number of mechanical systems, which in their ensemble constitute an entirely new form of theatric construction, and to this intended tabernacle of the fine arts I gave the name of Spectatorium. I also devised a new order of theatric art, the aim of which was to unite the mystic with the realistic for the moving presentation of the themes of human history, in such wise as to illumine the philosophy of historic fact, and to awaken even the most ordinary minds to the ideal value of the real and the real value of the ideal. To this new art of the theatre, involving a structural harmony of pantomine, music and spectacle, I gave the name of Spectatorio. "The Spectatorium is located on the Lake Shore, at the north entrance of the Columbian Exposition grounds, in Jackson Park. It is the largest structure ever erected for the alliance of the arts in the domain of drama and music. Its frontage is 500 feet, depth nearly 400 feet, altitude at the dome 270 feet. Together with its studios and power house, it occupies an area of 360,000 feet square. In architecture it is a combination of the Spanish Renaissance and Romanesque. Its audience chamber will accommodate about 10,000 people; its scenic department, in area over 100,000 square feet, is equipped with twenty-five automatic, telescoped stages, requiring over six miles of railroad track to move upon over a ground plane of water; colossal mechanism for creating wave and water currents; cyclone machinery, rain and fog apparatus; a sky, 400 by 120 feet, presenting as in nature the constellations of the southern hemisphere where Columbus voyaged. The lighting system, measuring 17,000,000 cubic feet, is wholly new in design and capable of presenting the effects in nature of the sun rising and setting, stars gazing at the audience, an aurora borealis a rainbow, the approach and passage of storms, and the fall of meteors. The frame of the stage picture is 150 by 70 feet, provided with a curtain of light, separating the stage from the audience between the acts. "The aim of its vast mechanism is to create the means for a harmonious blending of nature and art, hitherto unachieved, to illustrate the noblest dramatic conflicts of history. Its conception indeed is on such a scale that as a permanent institution it can never, its supporters believe, be degraded to the presentation of the petty or the vulgar, Therefore its management hope to commence a series of productions, to follow one another in the years to come, which shall by progression reach the loftiest heights of artistic achievement. To this end a free, but strictly professional, school of acting, music, dancing and scenic fine art has been started, with the hope that, as the means of the management may increase, it shall be equipped with every facility which invention and the ablest leaders may insure for the culture of the theatre's art in America." The plan was started off in a great rush, for there was not too much time to build the Spectatorium, write the scenario, compose the music and gather together a company of artists that would do credit to the idea. Mackaye threw his whole heart and soul into the project as he did in everything he had ever produced. The building was started just outside the Worlds Fair grounds, for plans for the fair did not include space for this great spectacle. With help of many distinguished architects, musicians and others including his son Percy MaKaye, the work went merrily on. Then the blow fell! In the fall of 1892 things began to totter and early in 1893 the country went into a financial panic. They had sold 500 bonds totaling $500,000 and held 300 back for future sale, figuring there would be no trouble getting the money at any time. The richest men now found it hard to get ready cash. Labor troubles set in. Those men who had subscribed early in 1892 simply could not be persuaded to throw in another dollar. 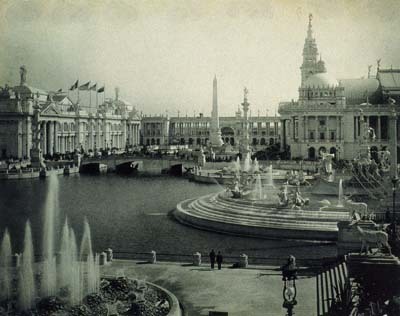 So the skeleton of the greatest project that MacKaye had ever conceived, stood all that summer of the 1893 World's Fair, as a stark and tragic symbol of what was to be a monument to Steele MacKaye's genius and stagecraft. The project was delayed for reorganization and went into the hands of a receiver. The unfinished building was eventually deemed a fire hazard, (though it was not) and fair organizers panicked and had the building razed to the ground. He lived six months longer—six months of rising daily to strenuous labor from what had else been his death-bed but for one indefatigable purpose: to vindicate his vision and his inventions to the city of Chicago. And as by miracle, this was granted him. 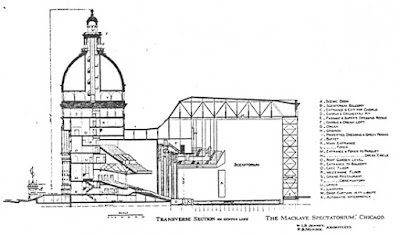 The money was forthcoming to construct a large model called the Scenitorium. He remodeled the Chicago Fire Cyclorama building. It was a modest structure, but it served to exemplify, to some suggestive degree, the inventions and projected art of his Spectatorium in miniature. In it he installed much of his complicated machinery and inventions. It was small by comparison but still a complex scheme that only he could pull off. On Feb 5th he opened with a incredibly scaled down version of "The World Finder." With music composed by Mr. Frederick Archer, this unique production was revealed to "a large and distinguished audience," in Chicago, February 5th, 1894. Its inventor—(wrote the critic of the Chicago Times, Feb. 6th)—"assisted to a chair on the stage, was greeted by long, enthusiastic applause... The triumph of Steele MacKaye as an inventor of extraordinary genius is assured." Public and press were unanimous. His final experiment was vindicated. Having worked non-stop with little sleep and less food for almost two years, he died three weeks later at the age of 51. (A postmortem showed that he died of stomach cancer.) The funeral of Steele MacKaye was held on that same stage, to choral voices of "The World Finder:"—a simple ritual of the theatre to one whose religion was the theatre's art. 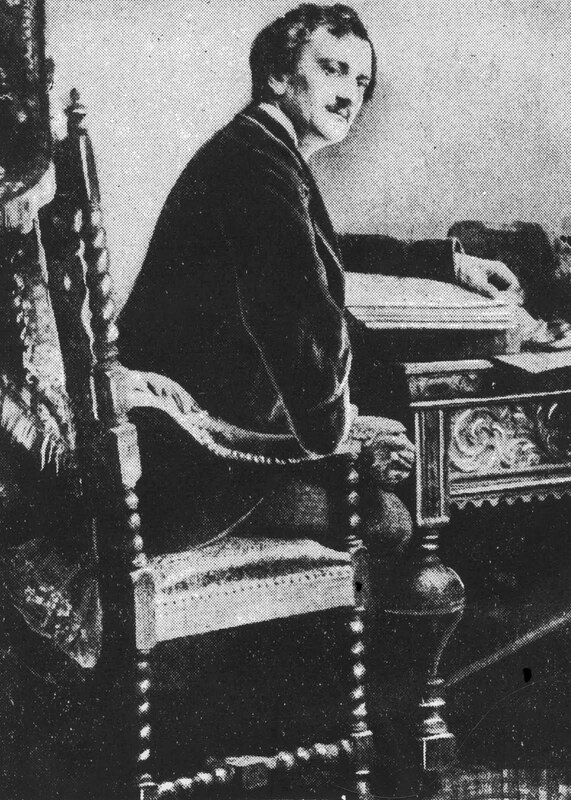 There Henry Irving, his friend, sent this greeting to a fellow Hamlet: "Good night, sweet prince." "In his special field, Steele MacKaye startled and illumined in his own time; he was himself the lightning. He was in his day a pioneer of art, the most richly gifted in the American theatre. When our Theatrical history comes critically to be written, this truth, I believe, will be manifest, and the prophetic import of his astonishing career, tardily acknowledged. that may occur in that inflammable portion of the house. automatic, or easily controlled from the prompter's box. Sixth. To supply two axes to every working or fly-floor. man detailed to this duty by the fire department of the city. floor in the auditorium into a series of aisles at any time. Assemblyman Quinn's Bill Provides For New County and Municipality Taking in Niagara Falls, the Tonawanda's, and Other Towns Comprised in Territory of More Than 25 Miles--Many Improvements. By HERBERT A. PIERCE by special wire from Courier Staff Correspondent. Albany, Feb. 1.-- Picture a city with 500,000 inhabitants with a chain of parks and parkways more than 35 miles in length, traced through with a smooth macadam boulevard ending at the world's grandest bit of scenery, Niagara Falls; add to this sketch a municipal power plant capable of supplying light for millions of electric lamps and forcing cars over leagues and leagues of track and there you have portrayed a part of the proposed Greater Buffalo. No, this is no city of dreams, to be swept away by waking reality of the milkman's rattling wagon, but a city that has been mapped out in assemblyman Quinn's Greater Buffalo Bill, which is now before the legislature for consideration.This week the measure will come before the assembly Internal Affairs Committee for a hearing. The understanding that it will be reported out and sent back to the assembly for second and final readings, thus being launched on it's way to become law. But what a change is outlined for Buffalo in this measure! It means the annexation of all territory upon Lake Erie and the Niagara River, which lies between and including Niagara Falls and Buffalo, also a creation of a new county composed in part of Niagara and Erie Counties which shall be known as the County of Buffalo. A great quantity of improvements are are suggested by assemblyman Quinn in connection with this new municipality. Among these is reconstruction of the sewer system, which will make Buffalo's system surpass all others in the country. It is planned to have a sewer 10 or 12 feet wide run from Buffalo proper to Niagara Falls. It is believed this great trunk sewer would keep Niagara River water pure. Moreover, this new sewer, it is expected, will not only pay for itself, and practically all the proposed improvements, but will be a source of revenue to the city as long as it lasts. This revenue will be produced by the power gained from the sewage where it empties into the rapids. It is believed that more power will be gained from it than the canal systems which join the Mohawk River at Cohoes. The power derived at this point supplies many plants, and lights several cities, besides giving impetus to thousands of cars. Power from Buffalo's sewer may be sold to manufacturers and other power companies at a vast profit to the city, beside supplying all municipal needs. Another part of the general plan for the "new city" is placing of the county institutions on Grand Island. This would include the penitentiary and the almshouse. The spot is a secluded one, and would afford one of the most effective retreats that could be imagined. In this way all the county institutions would be placed at one point and practically isolated, a thing that the city has been seeking to do for years. The bridges, of which there are two proposed, to be constructed across Grand Island to the mainland, would be owned by the city. This is another item of expense of which the sewer would pay. The proposed park systems and boulevards would, without doubt, equal in natural beauty, those of Vienna and Berlin, as there objective point would be the Falls. At present there is no boulevard running directly between Buffalo and the Falls, and while "roading it" between theses points is obliged to put up with all sorts of discomforts on in-diffferent thoroughfares. The main boulevard is given by initial outline, as 40 feet wide, and equal to any roadway of it's kind in the country..
By provisions of this bill Buffalo will have a waterfront nearly as long as that of Chicago. 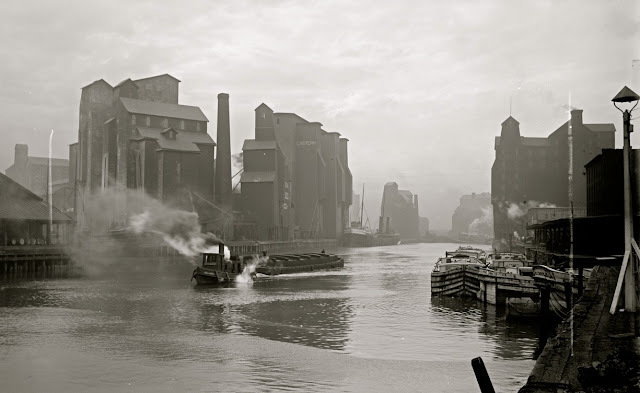 The different systems of dockage and ship accommodation which will be brought into play, are too intricate to be vaguely outlined as yet...,however Buffalo will be the fifth city in point of practical waterfront in the country. 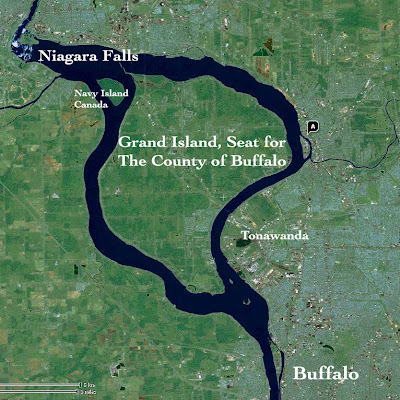 In assemblyman Quinn's Bill, it is stated that within thirty days after the passage of the measure, the mayor of Buffalo will appoint two persons, and the Mayor of Tonawanda shall appoint one person, as shall the Mayors of N. Tonawanda and Niagara Falls, respectively to act as a commission in creating the new city and county, each to be known as Buffalo. This will practically wipe the old Erie County off the map, although a part of the county, left untouched, will be joined with a part of Niagara County and named Erie.